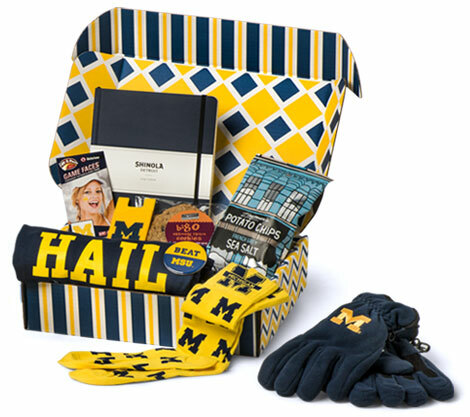 ProudBox is The Official Monthly Subscription Box of the Michigan Wolverines. 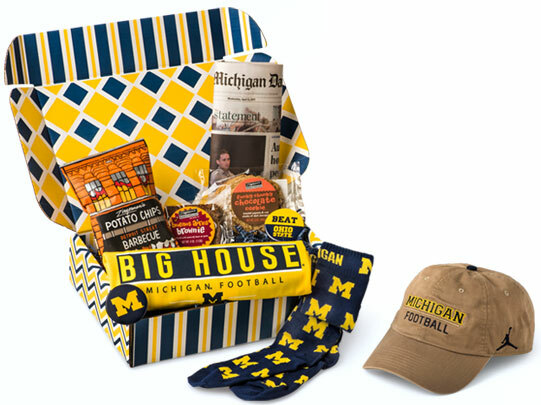 Each delivery brings great clothing, gifts and treats for Wolverine fans and students alike. It's the ideal pick-me-up for students away from home, or the ultimate spirit booster for football fanatics of any age. Or Your Wolverine, And We'll Handle the Rest! BIG HOUSE Delivered to Your House! 2019/20 Football Subscription Available Soon! Important Wolverine on Campus - Yours! For The 2019 School Year! What comes in a ProudBox? Good question! Each monthly box contains a combination of officially licensed merchandise, campus/commercial publications, locally-made bakery goods/snacks and other items of interest that have been hand selected by our expert curators to deliver an authentic and personal experience. That's why ProudBox is the perfect gift to give yourself - or anyone you really care about! Will you tell me exactly what is in each ProudBox? Generally speaking, no, we won't tell – it's a surprise! However, from time-to-time we are able to share specific items that will be coming in a box. 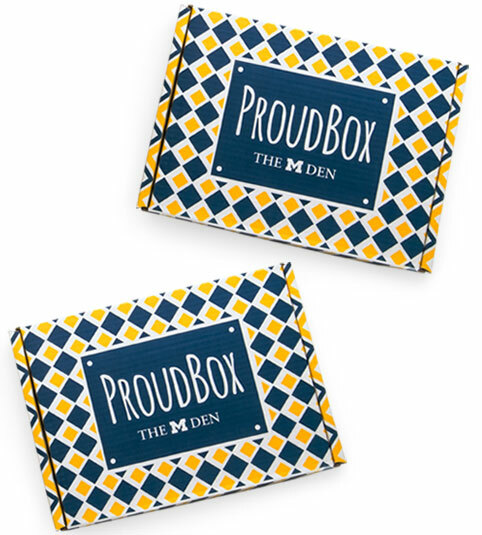 We love to get suggestions for future boxes – email us at: proudbox@mden.com. For your convenience, all Football Subscriptions will auto-renew. Don't worry – we'll reach out to you prior to auto-renewing your subscription. You're always in control of your subscription – you can log in to your account to manage your subscription at any time. Because students tend to move frequently, Student Subscriptions will not auto-renew. You can also cancel your subscription at anytime with 30 days notice. Please note: Items pictured are a representation of the types of products featured in ProudBox and may not necessarily be included in the actual deliveries.